Privacy is important, even when you're enjoying your Little Cottage Company playhouse. With the Additional Set of Playhouse Shutters, your privacy will be ensured. 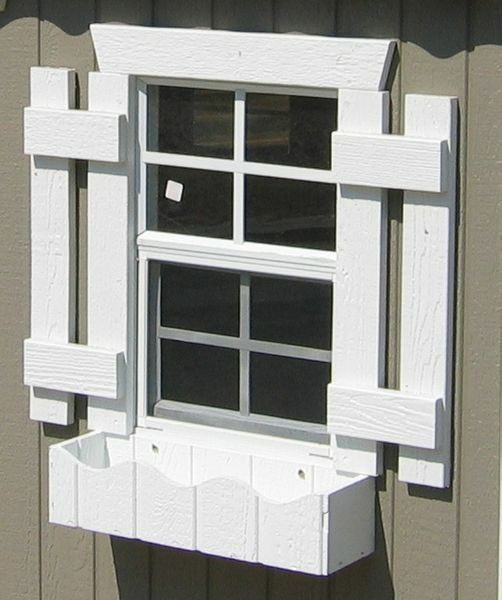 The shutters are easy-to-install and can replace any damaged ones or provide additional security to your playhouse. Little Cottage understands the need for privacy and this kit provides the peace of mind you desire. * Please Note: Window Sill Flower Box and Window not included.